Chip is the newest member of the McMatt household. 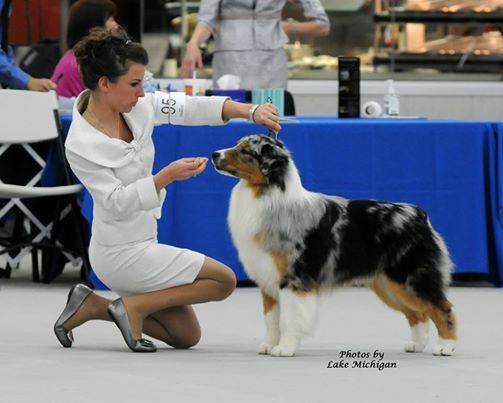 He was bred by Vicki Wehrle, Becky McDaniel and myself. While I was telling myself all along that I would NOT keep a puppy out of this litter, I just couldn't resist him. He has a fun temperament and very clean mover. I have high hopes for this guy. He is a 1/2 brother to our beautiful BIS Breeze! CHIP has a new girl in his life! Kara Janiszak....she and Chip have a great bond and he shows his heart out for Kara! They went to Minnesota to the Herding Specialty and came back with a big 4 pt. major win! Then, in February at the Gateway ASC Show, Chip and Kara were on fire finishing with 3 - 5 pt. 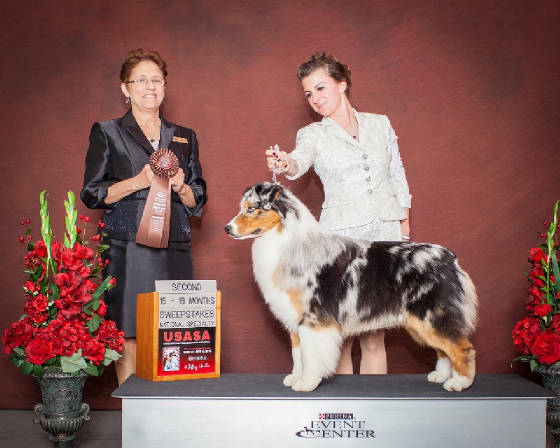 major wins and a Best of Breed over 8 specials! This finished his ASCA CH in 1 weekend. First week of March, he went to the Belle City KC Show in Gray Summit MO garnering another 3 pt. 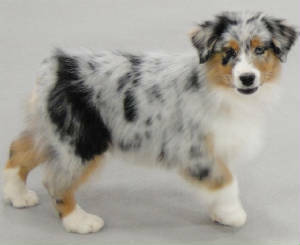 AKC major. USASA Nationals, Chip and Kara went 2nd in the 15-18 mos Sweeps class....they are a team that is fun to watch for sure!! !